Did the historical Jesus really claim to be God as Christians say? The last two weeks we looked at what the New Testament says. This week we’ll look at some evidence to see if the claims of deity go back to Jesus himself or if they were added by the church later on. We saw that, according to the New Testament, Jesus’ two favorite titles for himself were Son of God and Son of Man. We saw that both were claims to be deity. But did the historical Jesus really use these title for himself or did the church put those words in his mouth later on? Let’s look at the evidence for each of the titles, starting with Son of God. Why would you invent a claim that could make Jesus sound limited and maybe less than the Father? If you were making it up, why wouldn’t you just have Jesus say, “But about that day or hour no one knows except the Father and the Son”? Why invent a problematic claim. To me it seems more reasonable that this claim is included in the New Testament because Jesus himself made it and the New Testament authors were committed to recording what he said, even if it might seem problematic. 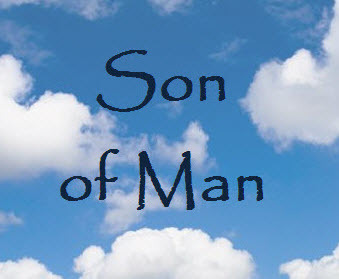 So what about the title, “Son of Man”, which we saw was equally a claim to deity? How do we know the church didn’t just make up and insert the Son of Man phrases in the New Testament? For one, as I mentioned last week, you need to have a reason why the Jewish leaders had Jesus crucified. If it wasn’t because of his claims to be God, including the use of Son of Man in Mark 14:61, what was the reason? Further, though, how do we know the church didn’t insert the words into Jesus’ mouth? In the gospels the title Son of Man is Jesus’ favorite title for himself. He uses it more than any other. So how do we know the church didn’t just put this title in his mouth? Because, as Habermas points out, the church, the writers of the letters that make up the rest of the New Testament, never use this title for Jesus. If the church decided “We need to make Jesus claim to be God. Let’s insert into the gospel accounts Jesus claiming to be the Son of Man.”, if they decided that and did that, then why didn’t they ever use that title for Jesus in their own writings? Wouldn’t you be consistent? Why would you have Jesus claim to be the Son of Man but never have him referred to as such in the New Testament letters to the churches? Looking at the whole New Testament, it’s not a title that the church used of him. It seems that one person referred to Jesus as the Son of Man, Jesus himself. What Does the Evidence Support? If someone would rather believe that Jesus didn’t make the claims to be God himself, it’s easy to say that the church just made it up. But when you consider the evidence, does it support that idea? I believe it’s more reasonable to believe that Jesus made the claims himself and that’s why he was crucified and the church faithfully recorded his claims and his words in the New Testament, even when some of his statements were difficult. Did the historical Jesus really claim to be God as Christians say? Last week we started to look at what the New Testament says. This week we’ll explore two of Jesus’ favorite ways to refer to himself and then we’ll look at some evidence to see if the claims of deity go back to Jesus himself. The first of Jesus’ two favorite ways to refer to himself was as the Son of God. This is a title of deity. Jesus often referred to himself as the son of the heavenly Father and in case we think he meant it in just a general way, as you and I might refer to ourselves as children of God, Jesus claimed a very unique knowledge of and connection with God the Father. He said in Matthew 11:27, “All things have been committed to me by my Father. No one knows the Son except the Father, and no one knows the Father except the Son and those to whom the Son chooses to reveal him.” Those are some pretty exclusive claims Jesus was making. He was claiming to be the unique Son of God. What’s more, Jesus received worship as the Son of God. Matthew 14:32 says, “Then those who were in the boat worshiped him, saying, ‘Truly you are the Son of God.’” Jesus didn’t correct them, as many in the Bible do, saying “No, don’t worship me, I’m just a man like you.”, rather he accepted their worship. In claiming to be the Son of God, he was claiming to be God. The most common way Jesus referred to himself, though, was as the Son of Man. Now we might not recognize this as a claim to be God. Some have mistakenly said that in referring to himself as Son of Man, that that emphasizes his humanity. But as Gary Habermas points out, this title is just as much a claim to be God. It’s a reference to a passage in the Old Testament, in Daniel chapter 7. Daniel said, “In my vision at night I looked, and there before me was one like a son of man, coming with the clouds of heaven. He approached the Ancient of Days and was led into his presence. He was given authority, glory and sovereign power; all nations and peoples of every language worshiped him. His dominion is an everlasting dominion that will not pass away, and his kingdom is one that will never be destroyed.” This son of man would come with the clouds and set up a kingdom and be worshipped by everyone. He would be someone other than God the Father (he approached the Ancient of Days) who would be worshipped by everyone. He himself would be deity. Jesus used this Son of Man title of himself more than any other title and he got himself in trouble with it. He especially offended the Jewish leaders when he used this title of himself for his future coming in glory and judgement. When he was on trial before the Jewish leaders, before being sent to the cross, they asked him, “Are you the Messiah, the Son of the Blessed One?” He replied, in Mark 14:62, “’I am,’ said Jesus. ‘And you will see the Son of Man sitting at the right hand of the Mighty One and coming on the clouds of heaven.’ The high priest tore his clothes. ‘Why do we need any more witnesses?’ he asked. ‘You have heard the blasphemy. What do you think?’ They all condemned him as worthy of death.” For answering “I am” and using the title, the Son of Man, like this, quoting almost exactly from Daniels 7, they charged Jesus with blasphemy and condemned him to death. They clearly took him to be claiming to be deity, to be God. How Do We Know Jesus Really Said These Things? Okay, so maybe both Son of God and Son or Man are claims to be God, but how do we know that the historical Jesus really said these things himself? How do we know the church didn’t just put those words in his mouth later on? There are at least three good pieces of evidence that show that Jesus himself, by using these titles, claimed to be God. I’ll mention the first one right now and then I hope you’ll come back next week for the other two. How do we know that Jesus used the title, Son of Man, of himself and made this bold claim to be God at his trial before the Jewish leaders? Because they crucified him for it. History clearly tells us that he was crucified. So if Jesus didn’t make this claim, if that wasn’t the reason for his crucifixion, then why was he crucified? Virtually everyone says that Jesus lived a good and loving life and was a good moral teacher. So why was he crucified like a criminal? It seems to me that the best explanation is the one the New Testament provides, that he claimed to be God and was charged with blasphemy and was put to death for it. What do you think? Give that some thought and then come back next week for the other two pieces of evidence. Did the historical Jesus really claim to be God as Christians say? That’s a pretty important question, don’t you think? Some say that he didn’t. To answer the question let’s start by taking a look at what the New Testament says and then we’ll look at some evidence to see if those claims go back to Jesus himself. First, does the New Testament even say that Jesus claimed to be God? The New Testament authors say that Jesus is God (ex. John 1:1) but does it say that Jesus himself made that claim? It never has him saying the exact words, “I am God”, but in the language and Jewish culture of the day, can we see him making a claim to deity? Why were they ready to stone him? 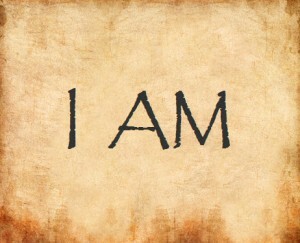 Because not only did he claim to be before Abraham, he said, “I am”. We might think he was making a grammatical error, thinking he should have said “I was” instead of “I am”. But what he was doing was referring to the time God spoke to Moses through the burning bush and Moses asked God, “What if I go to your people and tell them ‘The God of your fathers has sent me to you’ and they say, ‘What’s his name?’, what should I tell them?” And God said to Moses, “I am who I am. This is what you are to say to the Israelites: ‘I am has sent me to you.’” (Exodus 3:13-14) So Jesus was claiming the name of God. He was saying, “I am the I am“. They recognized what he was claiming and for that they were ready to stone him, because he was claiming to be God. Jesus also claimed to be able to do things only God can do, like forgiven someone of all their sins. One day some friends brought a paralyzed man to Jesus on a mat. When Jesus saw their faith he said to the paralyzed man, “Friend, your sins are forgiven.” Hearing this, the Jewish leaders thought, “Who is this fellow who speaks blasphemy? Who can forgive sins but God alone?” Now we might think, “I’m not God and I can forgiven someone of their sins against me.” But Jesus was claiming to forgive him of all his sins and the Jewish leaders understood that, and only God can forgiven someone of all their sins. Jesus was saying, “Yeah, anyone can claim to be God, but so that you’ll know I have the authority to forgive sins, something only God can do, I’ll do something else only God can do, that you can see with your eyes, I’ll heal this man.” He was saying, “I am God” and he backed up that claim by his miracles, and ultimately by his resurrection. In these few passages we’ve looked at already we’ve seen two of Jesus favorite ways to refer for himself. He referred to himself as the son of the Father, meaning the Son of God, and most often he referred to himself as the Son of Man. The first one, Son of God, is more obvious to us as a claim to deity, but in fact, Son of Man, is also a clear claim to deity. Come back next week as we explore these two titles of Jesus as claims to be God and then we’ll look at how we can know that Jesus made these claims about himself and that they weren’t just added by the church later on. After looking at the evidence for Jesus’ resurrection I believe that the traditional Easter greeting is appropriate. On Easter one person says, “He is risen!” and the other responds “He is risen indeed!”. I believe that response is more than just a statement of faith on the part of that person, I believe that it’s the best explanation of all the facts we’ve looked at surrounding the claim of Jesus’ resurrection. Ever since the first time the resurrection of Jesus was proclaimed, opposing theories have been put together to explain away the resurrection. Rejecting the supernatural, alternate ways have been posed to explain the facts by natural means. But any theory, for or against, has to account for all five minimal facts I have presented the past five weeks. The first opposing theory given was that the disciples stole the body. This accounts for the empty tomb but doesn’t account for the disciples actions which show that they really believed he rose and appeared to them and they were willing to die for that belief. Nor does it explain the sudden change in Paul and James, which they said was because the risen Jesus appeared to them. Others have said they were just hallucinating when the disciples thought they saw Jesus but groups of people don’t share hallucinations. Plus, while they might have been in the frame of mind, in their grief, to hallucinate seeing him, Paul and James wouldn’t have been in that same frame of mind. What’s more this doesn’t account for the empty tomb. Of course we should always start by looking for natural explanations, but when none are found and the evidence is strong that something actually happened, we should be open to considering the supernatural. This is certainly true when a supernatural explanation is at home. Jesus lived a sinless life and was an amazing moral teacher. He claimed to be God and to be the way to God the Father. He told people to trust in him for their eternal salvation. What’s more he backed up those claims with his miracles and he said that when he was killed he’d rise from the dead. 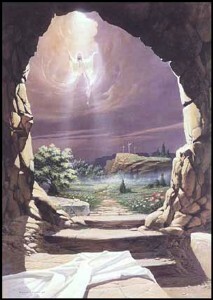 After that he was crucified and then appeared to and convinced friends and foes alike that he had indeed risen. If someone claimed that John F. Kennedy rose from the dead that would be out of place, but with Jesus such a claim is right at home. Jesus’ death and resurrection makes even more sense when you understand the purpose. The Bible says, and most of us would admit, that we’ve sinned against God. Romans 3:23 says, “for all have sinned and fall short of the glory of God,”. Jesus said that’s why he came. He said he came “to serve, and to give his life as a ransom for many.” (Mt 20:28, Mk 10:45) Jesus came to give his life for us to pay the penalty for our sins. Romans 6:23 says, “For the wages of sin is death, but the gift of God is eternal life in Christ Jesus our Lord.” Jesus can offer us eternal life because he died in our place to pay the death penalty for our sins. Why would Jesus do this for us? John 3:16 says, “For God so loved the world that he gave his one and only Son, that whoever believes in him shall not perish but have eternal life.” God is the one we’ve sinned against but he loves us so much that he was willing to become a man and come here so that he could pay for our sins himself. This way he can be just, seeing that the penalty for sin is paid, and we can be forgiven. Jesus’ resurrection from the dead shows that the price for our sins has been paid in full. Jesus Has Done This for You – Have You Accepted His Gift? Have you believed in and accepted the risen Jesus as your savior? If not and you want to, just pray and thank Jesus for what he’s done for you. Tell him you believe that he is who he said and that you believe that he died and rose again. Ask him to forgive you of your sins and tell him you want to have a personal relationship with him, getting to know the one who loves you more than any other. If you do that sincerely you can be sure that you have eternal life. 1 John 5:13 says, “I have written this to you who believe in the name of the Son of God, so that you may know you have eternal life.” What’s more you can be sure that he will come into your life and help you to live for his glory out of thanks for what he’s done. If you make that choice today please let me know. Email me at mark@reasonsforhope315.com. Can miraculous happenings occur or can nothing occur outside of the natural world? This is an important question to consider as you examine the evidence and form your world view. When examining the evidence I think one should keep an open mind and see where the evidence leads. Some, however, begin their examination with a presupposition that rules out a lot of possibilities from the start. In case you haven’t used those words in the past week, philosophical naturalism is the idea that the observable world is all that there is, that nothing exists beyond the natural world. Those who hold to this philosophy rule out anything supernatural ever happening. Before beginning any examination they have already made that conclusion. It is this philosophy that has had some decide that the New Testament documents must have been written hundreds of years after Jesus lived (as I discussed the last three weeks). It’s not an examination of the evidence that leads them to that opinion. Rather it’s the ruling out of anything supernatural that makes them say that. Why? In the New Testament Jesus prophetically predicts the destruction of the city of Jerusalem. This happened in AD 70. So they say, since prophecy isn’t possible, it must have been written after that happened. Never mind the evidence we looked at that shows it was written before AD 70. The supernatural isn’t possible so it couldn’t have been written then. The New Testament also tells of Jesus performing miracles and rising from the dead. Since the supernatural can’t happen, the New Testament can’t possibly be eye witness testimony, they say. It must have been written hundreds of years later when the eyewitnesses were gone so that legend could be passed off as truth. Never mind the evidence that points to the contrary, the supernatural can’t happen. 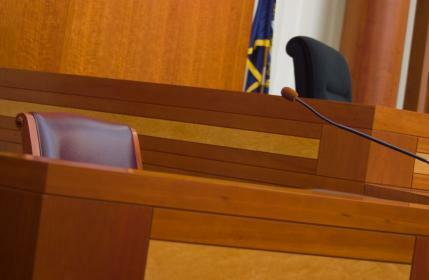 Is it Fair to Make Conclusions Before Making Your Examination? The Olympics have begun. Imagine you’re a figure skater or a freestyle skier from a country that’s not known to do well in those events. You’re worked hard and think you could medal. However, the judges for the event have already concluded that skaters/skiers from your country can’t do well, certainly not well enough to medal. You give a great performance but the judges didn’t even watch because they already know you can’t do well. Miracles certainly don’t happen very often, they wouldn’t be miracles if they did, and so some skepticism is healthy, but can you know for sure that there is nothing beyond what we can see, that there is nothing supernatural or spiritual? I encourage you to consider the evidence with an open mind and see where it leads and to encourage others to do the same. Is the Jesus of the Bible Just a Legend? We’ve been looking at the question, Is the Jesus we read about in the Bible the real Jesus or is that just a legendary figure? Some have said that the Gospels weren’t even written until 200 years or more after Jesus lived. They say that the historical Jesus never claimed to be God and never did any miracles or rise from the dead. It’s said that the church later embellished the claims and acts of Jesus hundreds of years later, after eyewitnesses who could refute what was written, were gone. Two weeks ago, however, we looked at the strong evidence that the New Testament documents were indeed written in the first century. Then last week we looked at the manuscript evidence for the New Testament and saw that it is much stronger than that of any other ancient documents. That leads me to the conclusion that I can have confidence that what was originally written in the first century has been accurately copied and handed down to us today. Is it Possible the Message of the New Testament Changed? So is it probable that the message of the New Testament changed? You can judge for yourself, but I don’t believe so. It’s not as though there was no one watching over and passing on that message in the years in between. Jesus’ disciples, who were eyewitnesses of his miracles and resurrection, passed that message on to other disciples who passed the message on to other disciples who passed that message on to other disciples, and so on and so on. J. Warner Wallace is a cold-case homicide detective and a former atheist. He has studied the writings of these early disciples, often known as the Church Fathers, and just as there is a chain of custody in the police department for the evidence in a criminal trial, he has traced multiple chains of custody of the message of the New Testament. He has traced the message of Jesus from the first century down through the time of that earliest full copy of the New Testament around AD 330. For example, the Apostle John passed on his eyewitness testimony to Ignatius and Polycarp. They passed it on to Irenaeus, who passed it on to Hippolytus. 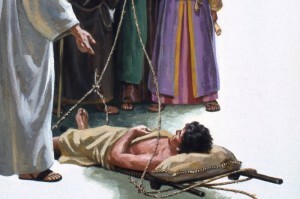 The Apostle Peter passed his eyewitness testimony to Mark. Mark passed it on to Justus who passed it on to Pantaenus. He passed it on to Clement who passed it on to Origen. From him, Pamphilus passed it on to Eusebius and Eusebius wrote around the time of that earliest full copy of the New Testament. So when we read the writings of these Church Fathers, do they present a view of Jesus that is consistent with what we read in the New Testament? Yes, they do. As I mentioned in Part 1, they allude to and quote the New Testament books and they themselves paint the same picture of Jesus from the testimony that was passed on to them. So, you decide. Is the Jesus of the Bible just a legend, or does the evidence show that the Jesus we read about is the same one who was witnessed in the first century and that eyewitness testimony has been faithfully preserved for us today? 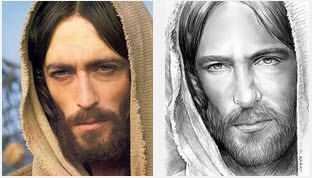 Is the Jesus we read about in the Bible the real Jesus or is that just a legendary figure that developed over time? Some have said that the Gospels weren’t even written until 200 years or more after Jesus lived. They say that the historical Jesus never claimed to be God and never did any miracles or rise from the dead. He was just an ordinary man, though a good moral teacher. Of course those kind of legendary things couldn’t have been written about the real Jesus while eyewitnesses to his life were still alive. So the church later embellished the claims and acts of Jesus hundreds of years later. In effect, it is said by some, the 3rd or 4th century church created the Jesus that Christians have worshiped since. So what about this idea? It’s possible it could have happened that way. We certainly wouldn’t want to be worshipping someone who was just invented. Is there evidence that shows that the Jesus of the Bible is really the Jesus of history? This goes to the second and third points of the Case for Christianity I presented in my second post. When Were the New Testament Documents Written? There is good evidence that they were written in the first century. See how the timeline inches back to the events written about. Early Christians, known as the Church Fathers, quote the New Testament. Three of them, Clement, Ignatius, and Polycarp, writing between AD 95 and 110, quote or allude to 25 of the 27 New Testament books (including all four Gospels). Further, since they were located hundreds of miles away from Palestine, the N.T. books must have been written significantly earlier than that to have reached them by then. Most if not all N.T. books were likely written before the destruction of the Temple in Jerusalem in AD 70. Jesus had predicted that the temple would be destroyed before that generation passed away. So if you were writing about Jesus after AD 70 wouldn’t you mention the destruction of the temple to show his prophecy came true? Besides that, the destruction of the temple was a huge event. If it had already occurred, it’s very unlikely that the N.T. writers would talk about the temple as they do without mentioning it. If someone wrote about the World Trade Center and didn’t mention the towers falling and almost 3000 people being killed, I’d be certain it was written before September 11, 2001. Many N.T. books were likely written before AD 62. Luke, the historian, who wrote the book of Acts included many details of the early church, including the death of the martyr Stephen,the leadership of the church and the ministries of Peter and Paul. 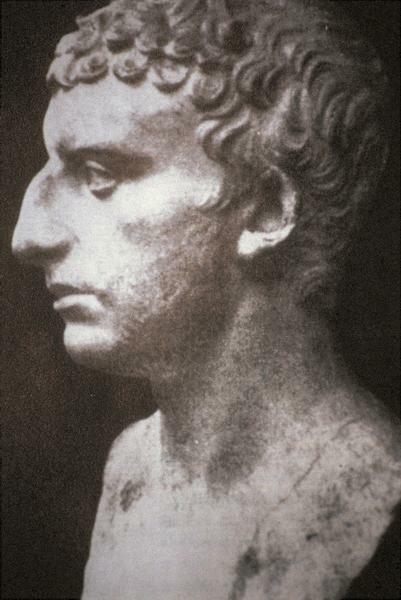 So if Paul had already been executed by Emperor Nero (AD 68) and James, the brother of Jesus, the leader of the church in Jerusalem, had already been killed by the Jewish leaders (AD 62), don’t you think he would have included those important details? Yet he mentions neither. If Acts was written before AD 62, the Gospel of Luke must have been written even earlier, since Luke indicates in Acts that the Gospel was his “former” book. What’s more, many believe the Gospel of Mark was the earliest gospel written and it seems that Luke quotes from Mark. This would place the earliest gospel in the 50s or possibly even the late 40s. The evidence is such that even the most liberal scholars place Paul’s first writings in the 50s and atheist John A.T. Robinson even says that most of the N.T. documents, including all four gospels, were written between AD 40 and 65. The evidence is quite strong that the New Testament documents were written very early, within 20-30 years of the cross and resurrection. They were written by eyewitnesses and at a time when other eyewitnesses would have refuted them if what they said wasn’t true. We just passed the 50th anniversary of the assassination of John F. Kennedy. What if within 30 years of his death some people started claiming that J.F.K. had done miracles, claimed to be God and rose again from the dead? How far do you think that would have gone? Eye witnesses would discredit that immediately. Sources: I Don’t Have Enough Faith to Be an Atheist, Cold Case Christianity, Is the New Testament Reliable?